LAS CRUCES, N.M. – The New Mexico State softball team will play eight games over a three-week period in late September and October as part of its fall schedule, head coach Kathy Rodolph announced Tuesday. All fall games are free to the public. The Aggies will play a total of three doubleheaders and a couple of single games in preparation for the 2015 season. All games, with the exception of one trip to El Paso, Texas, to play UTEP, will be played at the NM State Softball Complex. NM State kicks off the fall schedule with a doubleheader versus Odessa on Saturday, Sept. 27, beginning at 2 p.m. (MT). 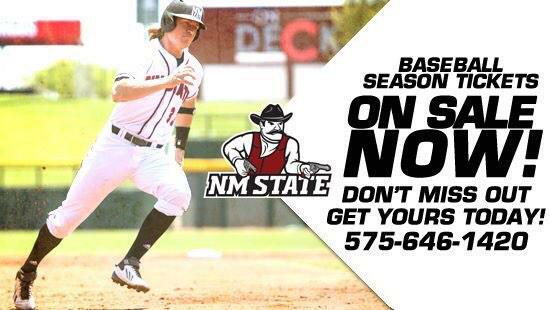 The following day Western New Mexico comes to Las Cruces to face the Aggies in a single game starting at noon. NM State then makes its trip south to square off against UTEP on Wednesday, Oct. 8, for a single game scheduled to begin at 7 p.m. The Aggies close out the fall schedule with a couple of doubleheaders at home, the first coming on Saturday, Oct. 11, as NM State hosts Midland at 9 a.m. before facing Eastern Arizona at 3 p.m. The Aggies then play Pima from Arizona twice on Sunday, Oct. 12, with the first game scheduled for an 8:30 a.m. start.